Before making changes, they actually were polluting more than average Americans. David Hrivnak, a retired engineer from Kingsport, Tennessee, has been worried about climate change for a long time. So when he sat down to calculate the carbon emissions from his family’s home and car, he was dismayed by what he learned. Hrivnak was determined to change that. So now, he and his wife drive electric vehicles. 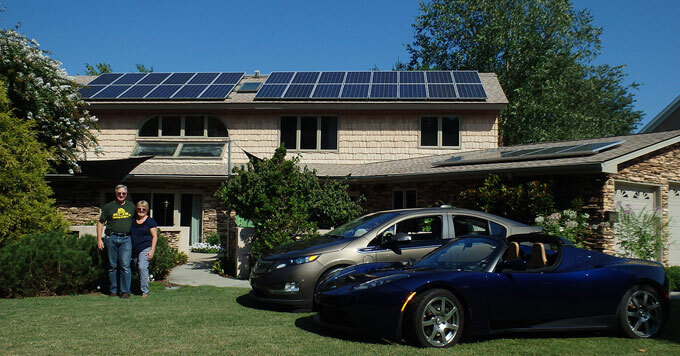 They also installed solar panels that produce enough energy to power their house and cars. These investments can be costly in the short-term. But he says they will pay off over time. EV’s are cheaper to maintain. So he says in the long-run, he’s saving money and reducing his carbon emissions.